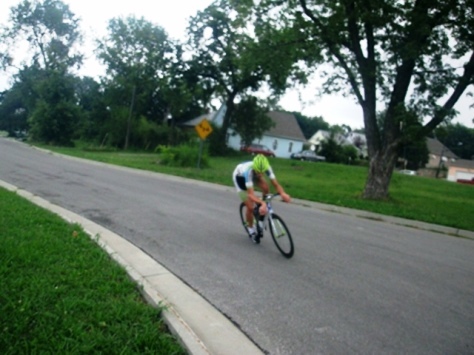 Bicyclists tour Wyandotte County neighborhood – Welcome to Wyandotte Daily! 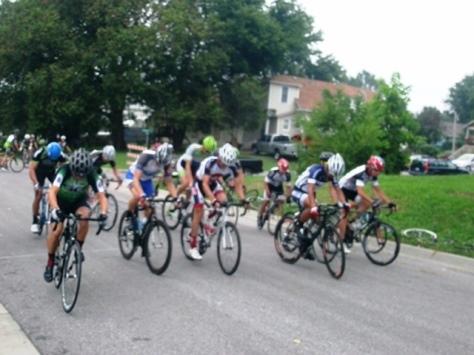 Today, there was a bike race that was held at the Waterway Park in Kansas City, Kan.
Bike enthusiasts came from all over the Greater Kansas City metropolitan area just to participate in this event. The proceeds for the event go to FreeWheels for Kids, which promotes bicycling for kids. Through FreeWheels for Kids, youth are encouraged to start bike clubs in the various schools, which in turn cause the children to be healthier. Bicycling among all ages is very popular especially in Wyandotte County. Wyandotte County as a whole is getting a lot of new bike trails, making cycling truly something the whole family can enjoy. If you’re ever seen a bike race it will amaze you how fast the cyclists go. Each cyclist has to go through training before entering a race. Today was no exception to the rule. They traveled at speeds that would scare you, all to benefit FreeWheels for Kids. For more information on how you can volunteer with FreeWheels for Kids, go to the website www.FreeWheelsKC.org. Kaw Point trail, Southwest Boulevard trail, Merriam Lane trail, Matney Park walking trail, Wyandotte County Lake Park roadway, Georgia Avenue, Donahoo Road, North Park Trail in Bonner Springs.